Posted August 30, 2018 by Bob and Jane Kinzie & filed under Storm Preparedness. As we welcome autumn—and soon enough winter—storm preparedness should be of top priority. Be ready for any kind of storm and ensure the safety of your family and property by following these few steps in preparing your home for a storm. Take a walk along the outside of your property and inspect anything that could potentially prove hazardous. -Are there dead branches or unstable-looking trees near your house? -Does your roof appear to have any damage or areas where water could seep through? -Do you have the tools necessary to secure fences or patio furniture to prevent them from blowing away? Taking note of these areas now means you have time to prepare and call in a professional if need be. If you are nervous about the potential of trees falling on your home, double check if your insurance will cover the damage (most standard homeowner’s policies will). In order to be properly prepared for a dangerous storm, it’s vital that you account for all possibilities. Creating a mini disaster kit for your kids to carry with them and keep at school will give you, and them, peace of mind in the event of a storm. Then make sure you have portable, backup battery powered chargers for all of your electronic devices to keep them charged in the event of an outage so you can call family members and friends. Also, have a disaster-plan in place with your family where each member takes on a specific role; this will allow you to react quickly if a storm does become dangerous and you need to take action. Exercise your generator. If you don’t have one—get one. Leading up to a storm, it’s important for you to exercise your backup generator by manually turning off the power and ensuring your backup power kicks on properly. Generators are quiet, affordable, and can be massively helpful in the event of any sort of emergency. So, if you don’t own a backup generator, the first step in your storm preparedness plan will be to get one for your property. If you’re preparing for dangerous weather, we at Kinzie Backup Generator Systems offer Cummins power generators, considerably the best generators in the world. 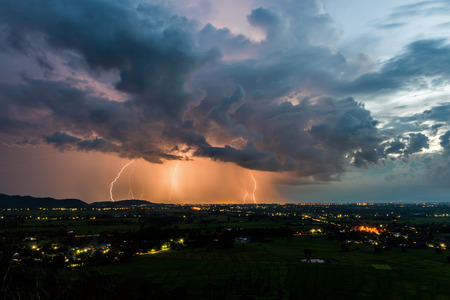 Give us a call at 301-469-7800 for more information on preparing for a storm and the benefits of having a backup generator that you can rely on.